Cheers to a Gorgeous Life! 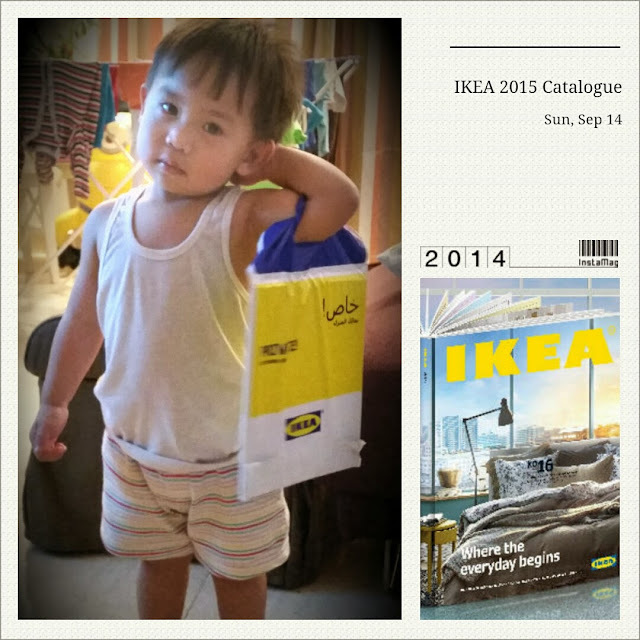 : IKEA 2015 Catalogue is Here! IKEA 2015 Catalogue is Here! Surprised to see IKEA (Kuwait) 2015 Catalogue delivered to our doorstep tonight. We are thinking of looking for a new place next year so this is a ... drum rolls, please.... sign! I am pretty much excited to see firsthand their new stuff for 2015. Anyhow I always visit IKEA to get ideas on how to redecorate or reorganize our apartment, with a side trip to the cafeteria for their meatballs fix.